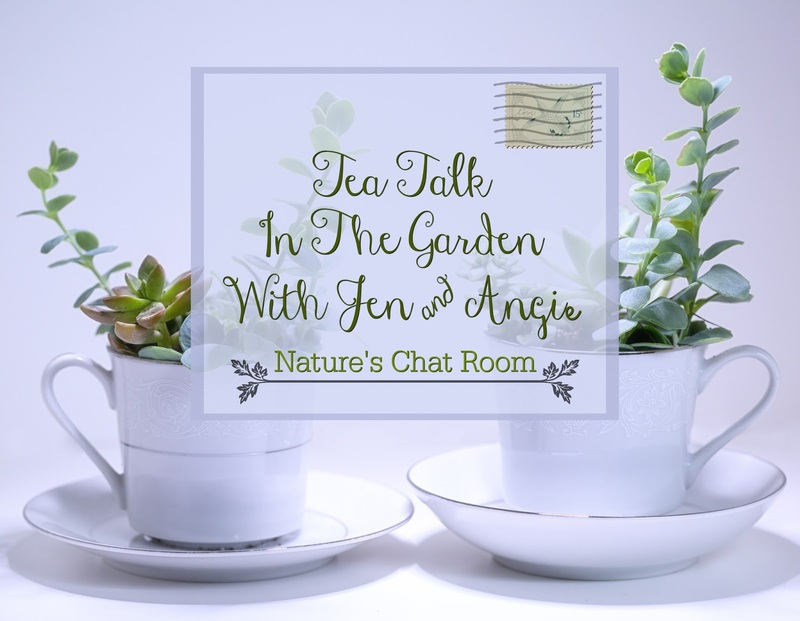 Welcome to Tea Talk in the Garden, a collaboration with Angie from The Freckled Rose! Angie is a talented gardener and photographer who I had the pleasure of meeting through Twitter's #gardenchat more than a year ago! If you don't already know Angie, I guarantee you will love her work! 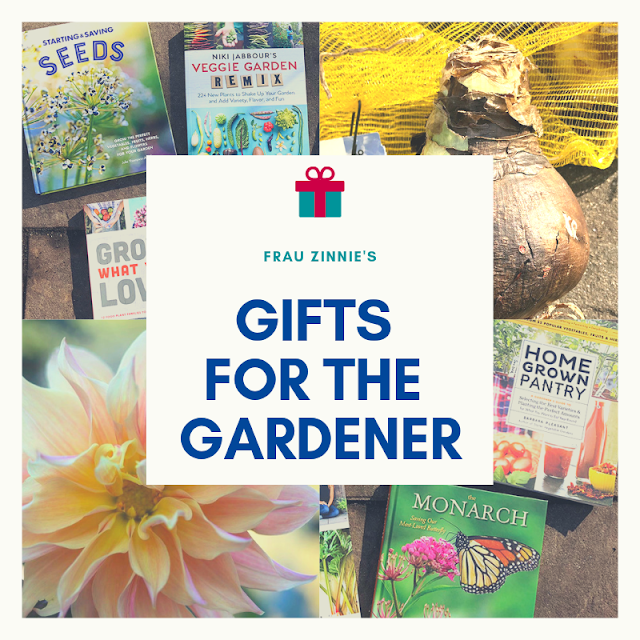 I did so much, that I asked if she would be willing to create a new blog feature with me where we could write letters back and forth about all things gardening. We decided on calling it Tea Talk in the Garden - and I think you'll really like it! Read below for my first letter to Angie. 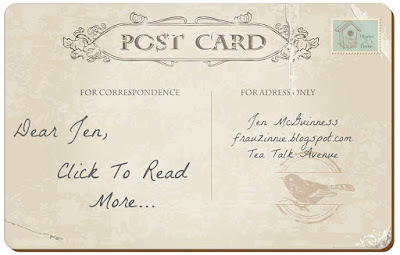 Be sure to follow her blog so you'll see her response soon! I began writing to you in the middle of our first official snowstorm here in central Connecticut. Occasionally I would stop and wander over to the window to see what the birds were up to outside. Staring into the bleak black and whiteness of winter made looking at seed catalogs an even more important endeavor this past weekend! Thank goodness I've been inundated with catalogs! My seed-starting area is in our small kitchen. I have the three tiered grow light system from Gardener's Supply that I bought back in 2010, a year after we moved into our first home. It takes up serious real estate, but my (kind) husband allows it to live where we make our food. This year the lights have been on since I brought my geranium cuttings inside. I'm thinking of replacing the T5 bulbs this year - maybe my eyes are playing tricks on me, but I think they are not as bright as they used to be (they are almost six years old after all). I'm so excited to share with you some of the seeds and plants I want to grow this year! I've decided to dedicate a little more space to a cut flower garden this year, which will eat into my edible gardening beds. However, I think fitting edibles into my preexisting perennial garden will be a fun challenge! I've always wanted to intermingle edibles and ornamentals - maybe this will be the lucky year. 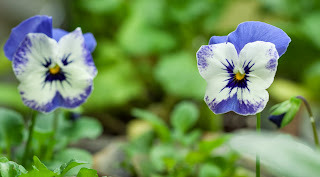 'Sorbet Delft Blue' violas that I've grown in the past. The first plants I always start from seed are violas and pansies, and I always buy the seeds from Swallowtail Garden Seeds. They have such a large collection to choose from! I love to grow 'Sorbet Delft Blue' for that hard-to-find blue color in flowers. This year I'll be trying the 'Tango Mix' pansies as well, since apparently the flowers last long! I usually start these seeds about now so they will bloom in time for Easter, but I'm a little late this year! Pansies and violas are super easy to grow from seed, and very rewarding to do so! I recently discovered a new seed provider through Instagram, called Floret! I immediately fell in love with the photography used on this site - I think you will really like it! I found myself coveting flowers I wouldn't normally even try to grow! So I ended up adding Iceland poppies 'Champagne Bubbles White', chocolate lace flower and sweet pea 'Our Harry' to my shopping cart. (I know you have grown sweet peas for the last two years, so I'll need some advice!) I also love the color of nasturtium 'Gleam Salmon', which I plan to grow beneath my fruit trees this year. 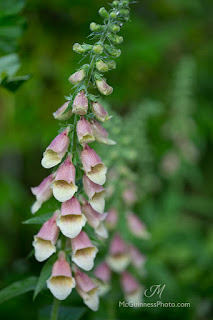 What's really neat about this site is that it recommends other plants that will enhance the one you chose for bouquets. There are even tips for extending cut flower life in the vase! This is a win-win for me, tying right back into that "grow more flower" pledge I made! 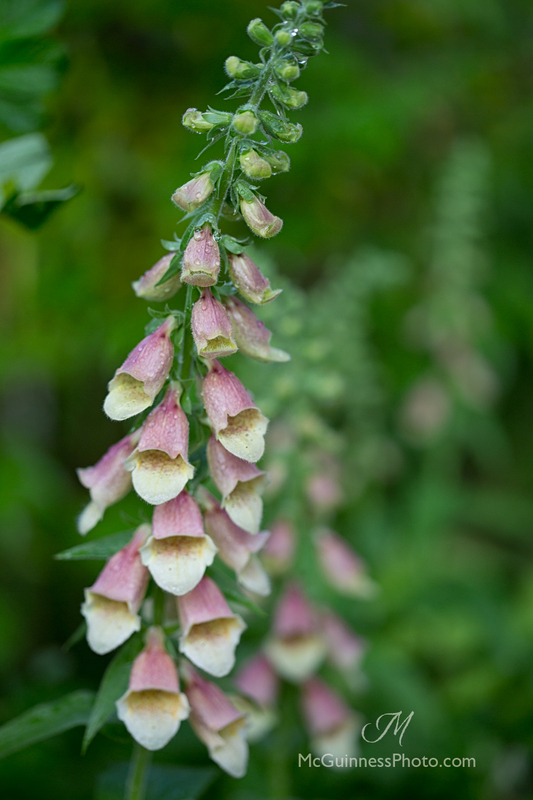 Foxglove from my garden last year. Speaking of cut flowers, I can't live without zinnias (shocker, right)? 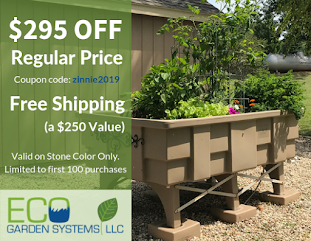 I love the bright colors of the 'Desert Sunset Mix' and 'Art Deco,' as well as the muted shades of 'Salmon Rose' and 'Queen Red Lime.' I need to grow more of these this year - all over. A few years ago there was a home in a neighboring town that grew tall multicolored zinnias with sunflowers behind them. It looked so pretty! I wish I had taken a photo. With all this talk of flowers, it may sound like I'm not planting any edibles. But I do plan to. I'm hoping to grow (tall) peas along the border of my front garden, in front of the lilacs, since the soil needs some conditioning over there. Do you have any varieties you would recommend? I know you grew some last year! And I'm very tempted to grow lots of tomatoes again this year, especially this new variety from Baker Creek Heirloom Seeds called Geranium Kiss. And I always go back to my old favorite - the Upstate Oxheart tomato from Hudson Valley Seeds. It looks like seeds are still not available after last year, and I had to dig into my seed supplies to grow some. I hope I have a few left if they aren't for sale... oh why didn't I save any seeds from my garden?? I know this is only the tip of the iceberg when it comes to seed catalogs. Sometimes I feel like I dream too big, or as my grandmother used to say, "you're eyes are bigger than your stomach." (She was talking about our dinner portions, but I think it works well in this scenario.) I still have a lot of seeds left over from last year that I should really go through as well. This is definitely the time of year that my crazy plant lady gene comes out in full force! 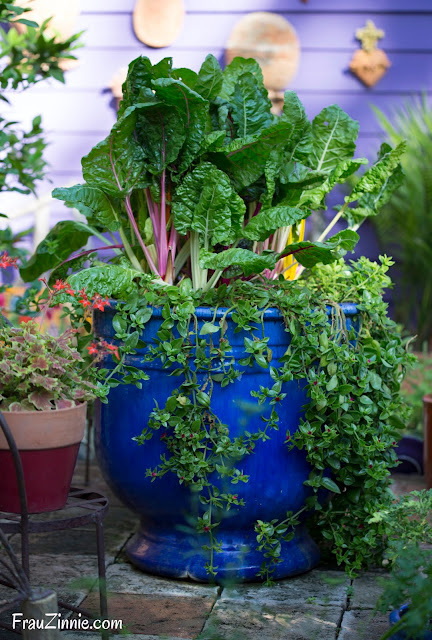 What will you be growing this year? I can't wait to find out! First off, I love this collaboration! Great article! Growing sunflowers & zinnias side by side is indeed a beautiful sight. Thanks for sharing!